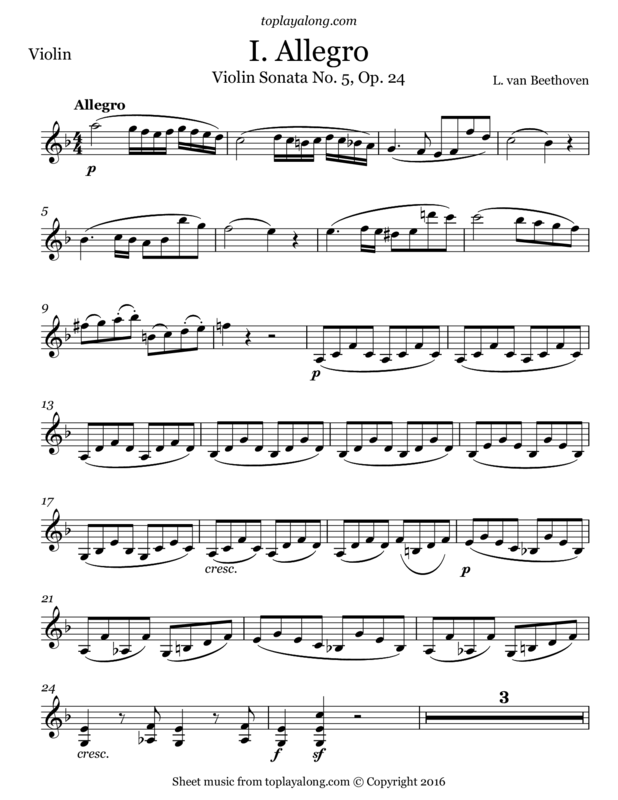 First movement (Allegro) of the Violin Sonata No. 5 in F major, Opus 24 by Beethoven. It is also known as the "Spring" sonata (Frühlingssonate). Its dedicatee was Count Moritz von Fries, a patron to whom the fourth violin sonata, the string quintet of the same year, and the seventh symphony were also dedicated. The Allegro movement is featured in the stage show Fame.